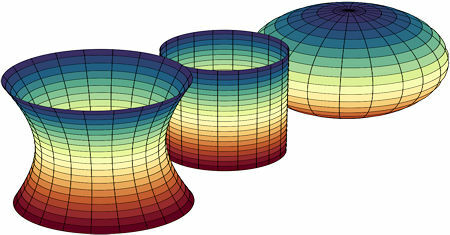 Differential geometry is a very active field of research and has many applications to areas such as physics and gravity, for example. The papers in this book cover a number of subjects which will be of interest to workers in these areas. A collection of notes about differential geometry prepared as part of tutorials about topics and applications related to tensor calculus. They can be used as a reference for a first course on the subject or as part of a course on tensor calculus. The goal was to give beginning graduate students an introduction to some of the most important basic facts and ideas in minimal surface theory. Prerequisites: the reader should know basic complex analysis and elementary differential geometry. We discuss the solution theory of geometric wave equations as they arise in Lorentzian geometry: for a normally hyperbolic differential operator the existence and uniqueness properties of Green functions and Green operators is discussed. An introduction to Calabi-Yau manifolds and special Lagrangian submanifolds from the differential geometric point of view, followed by recent results on singularities of special Lagrangian submanifolds, and their application to the SYZ Conjecture. This is arguably one of the deepest and most beautiful results in modern geometry, and it is surely a must know for any geometer / topologist. It has to do with elliptic partial differential operators on a compact manifold. This volume is an up-to-date panorama of Comparison Geometry, featuring surveys and new research. Surveys present classical and recent results, and often include complete proofs, in some cases involving a new and unified approach. The author is concerned with the geometry of incidence of points and lines, over an arbitrary field, and unencumbered by metrics or continuity (or even betweenness). The treatment of these themes blends the descriptive with the axiomatic. This book provides a route for graduate students and researchers to contemplate the frontiers of contemporary research in projective geometry. The authors include exercises and historical comments relating the basic ideas to a broader context.